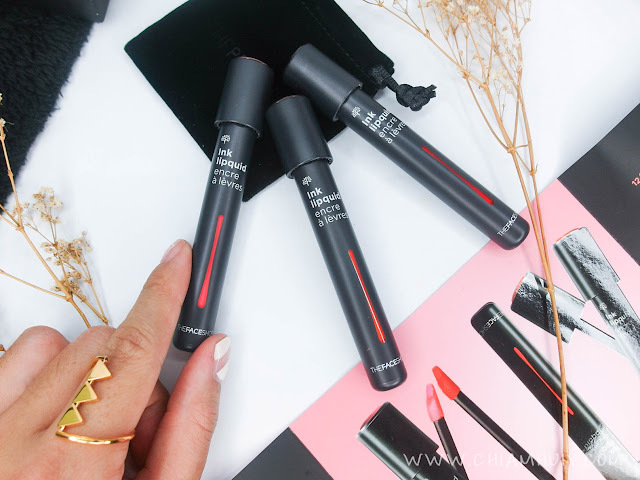 THEFACESHOP has finally released a new series of lip collection, their new Ink Lipquid! Like how the name is derived, it's a combination of lipstick, lip gloss and lip tint. Well, it's not something new in the market, so let's see how it fairs on its own! 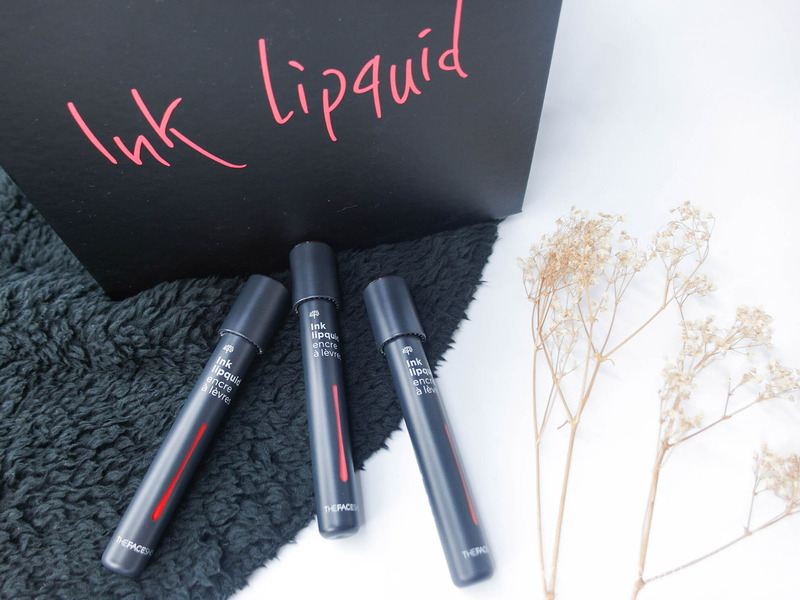 Ink liquid lipsticks seems to be on the trend right now. 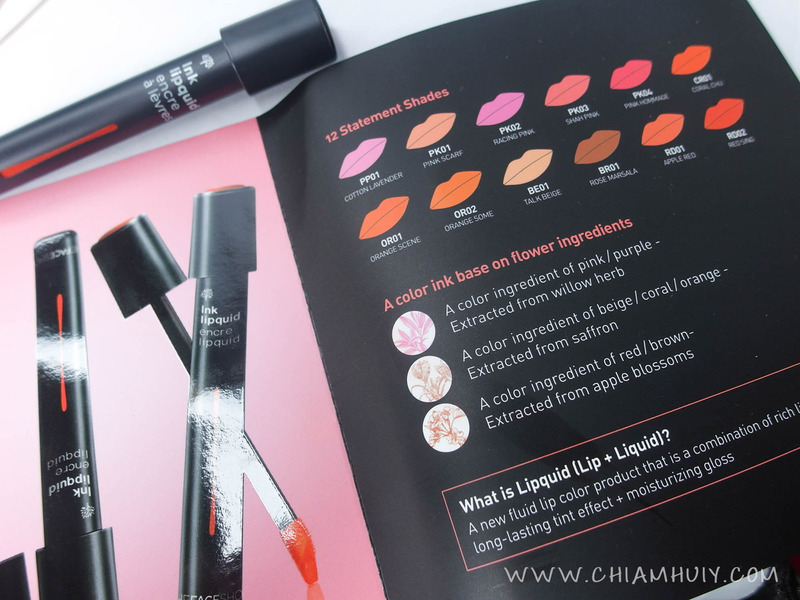 I recall doing a review on Etude House's Colour in Liquid Lips, which is very similar to what I'm review today. 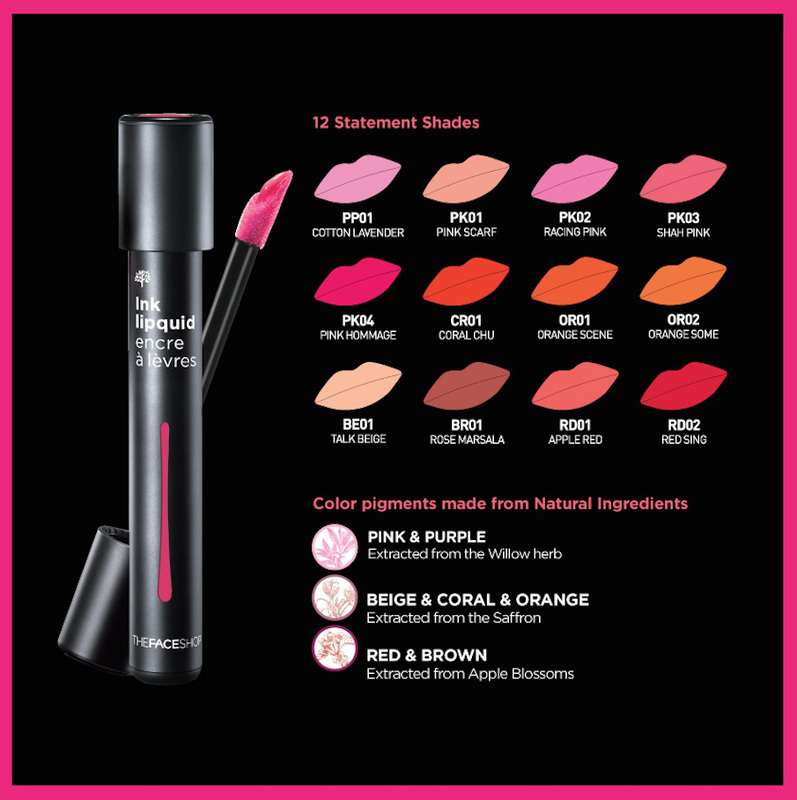 What I understand from here is that THEFACESHOP new Ink Lipquid is an entirely new lip colour formation which comes in 12 different shades. Here I have their popular shades in RD02 Red Sing, PK03 Shah Pink and OR02 Orange Some. From left: RD02 Red Sing, PK03 Shah Pink and OR02 Orange Some. All the above swatches are achieved with only one application. I have to say, with just one swipe, it looks pretty good and colour pays off pretty well! 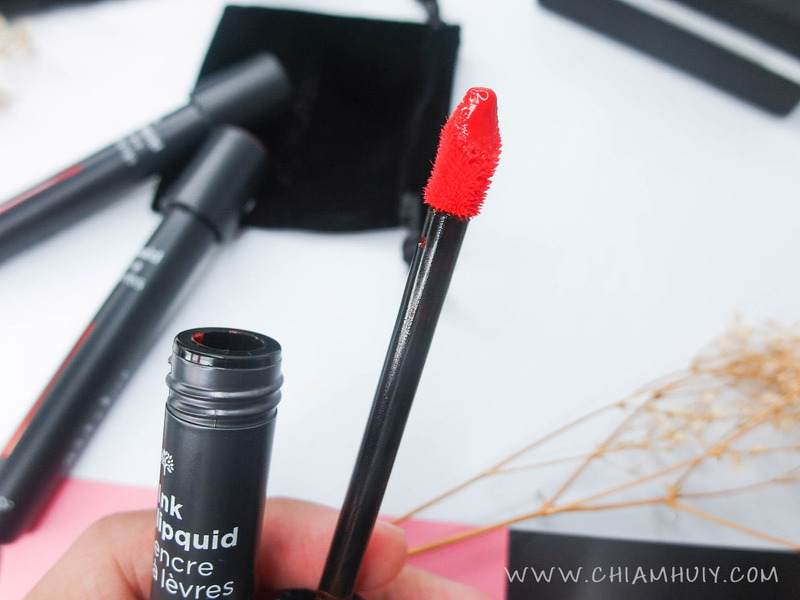 It doesn't come off as sticky at all although it feels like lip glosses when first applied. The different colour ink base are also achieved from extracting different flower ingredients. Here I'm wearing shade PK03 Shah Pink. I definitely adore the subtle light colour it gives from just one application. For a darker shade, applying few more applications would do the work. THEFACESHOP new Ink Lipquid is retailing at SGD17.90 at all THEFACESHOP stores. 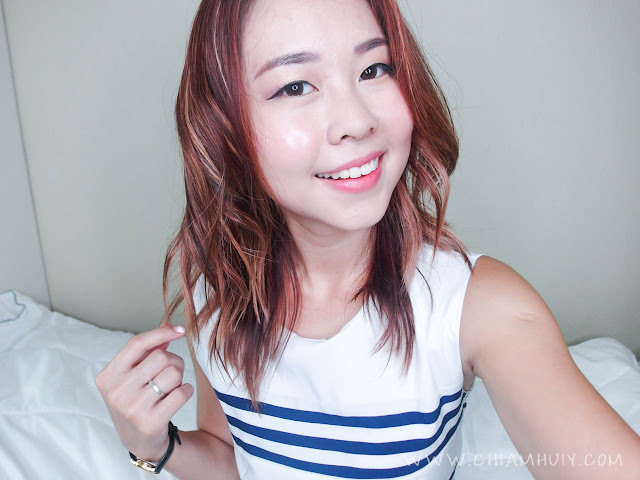 Thank you THEFACESHOP for sending these new products over!